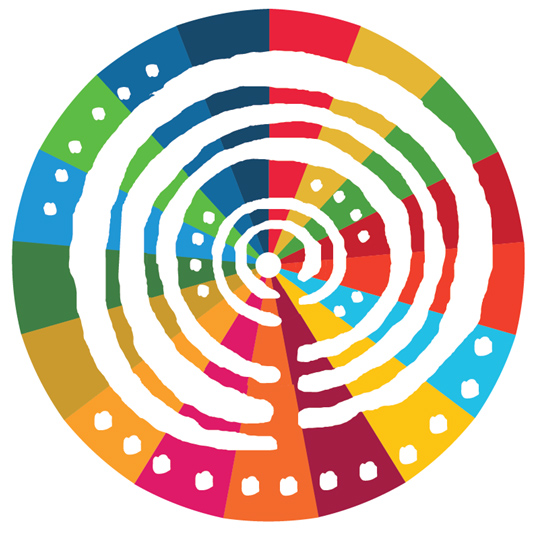 The third meeting of the Forum of the Countries of Latin America and the Caribbean on Sustainable Development will take place in Santiago, from 24 to 26 April 2019.
he participant accreditation desk will be open from 9 a.m. on Monday, 22 April at ECLAC headquarters, the event venue (Avenida Dag Hammarskjöld 3477, Vitacura). The meeting will be open to all Latin American and Caribbean countries. The purpose of this document is to provide delegates with useful information to facilitate their work at the meeting. Meeting coordinators will be pleased to answer any questions concerning logistical or organizational matters either before or during the event. Chile is located in the extreme south-west of South America. Its capital city is Santiago and the country has a total population of almost 18 million. Chile lies between the Pacific Ocean and the Andes mountains and its long, thin territory is divided into 15 administrative regions. Santiago, a city of 7 million inhabitants, is the capital of the Republic of Chile. It has a Mediterranean climate and well-defined seasons, with rainy winters with temperatures as low as 0ºC (from May to September) and dry summers, when daytime temperatures hover around 30ºC (from November to March). Relative humidity is low and evenings are cool. Visitors are advised to drink bottled mineral water, since tap water, although drinkable, may not agree with those who are not accustomed to it. As in all big cities, it is advisable to avoid wearing expensive jewellery and to be careful with handbags and briefcases. The national currency is the Chilean peso ($). The exchange rate is approximately 693 pesos to the dollar (November 2018). 220 volts, 50 Hertz (AC). Airport tax is included in airline ticket prices. Tipping is common practice in Chile, as in many other parts of the world. It is customary to leave a tip of 10% of the total bill in restaurants. The official sessions of the third meeting of the Forum of the Countries of Latin America and the Caribbean on Sustainable Development will take place in the Raúl Prebisch and Celso Furtado conference rooms at ECLAC headquarters, while side events will be held in other rooms at headquarters, located at Av. Dag Hammarskjöld 3477, Vitacura, Santiago. No private vehicles will be permitted to enter ECLAC grounds. Only official vehicles of diplomatic missions will be allowed entry in order to drop off and pick up delegates, provided that the particulars of the driver and the vehicle (model and license plate number) are sent to the following email addresses beforehand: paula.warnken@cepal.org, ricardo.freitas@cepal.org and eduardo.barahona@cepal.org. These rates do not include 19% value added tax (VAT). Guests paying in dollars, with travellers’ cheques or using an international credit card are exempt from VAT. Reservations should be made directly with the hotel by the date indicated on the attached reservation form. After this date, the hotel cannot guarantee the special rate or the availability of rooms. To maintain the special rate given to ECLAC, hotel reservations must be made personally, not through travel agencies or other means. Delegates are responsible for their own reservations. It is advisable to check that the hotel has processed your reservation and to request a reservation number or code as confirmation. The hotel requires that you provide the flight details and the date of arrival and departure, as well as credit card details in order to guarantee the reservation.. Please complete and send the attached form for this purpose. Delegates must be in possession of a passport valid for at least six (6) months from the date of entry into Chile. Delegates from countries whose citizens require a visa to enter Chile should apply for a visa at the nearest Chilean embassy or consulate in advance. The list of countries whose citizens require visas to enter Chile is available on the website of the Ministry of Foreign Affairs of Chile: http://chileabroad.gov.cl/consulados/. The companies Transvip and Transfer Delfos operate minivan services from the airport, offering passenger transport to the different areas of the city. Each van carries 10 to 12 passengers, at an approximate cost of US$ 15 per person. Passengers preferring to take taxis are advised to use the firms Taxi Oficial or Transvip, which are also located at the airport. A taxi fare from the airport to the city usually varies between US$ 35 and US$ 40, depending on the area of town. Within the city, transport is available by taxi or by public bus and metro lines. Taxis are metred and drivers do not normally expect a tip. Participants must register online through the meeting website (http://foroalc2030.cepal.org/2019/en) which will be available from 21 January to 12 April 2019. Online registration does not exempt delegations from the requirement to provide official notification of the name of the head of delegation and all accompanying members. For civil society representatives and other relevant stakeholders, online registration will close on 22 March 2019. Once online registration is complete, the accreditation system will send a confirmation letter that must be presented along with participants’ identification documents when they pick up their credentials. Participants will be able to pick up their credentials as of Monday, 22 April from 9 a.m. at the main entrance to ECLAC headquarters (Av. Dag Hammarskjöld 3477, Vitacura). Participants will receive an identification badge which, for security purposes, must be kept visible and shown at all meetings. Participants must collect their badges in person and must present identification for this purpose. United Nations agency staff must register online. They may enter meetings with their existing United Nations credentials, which must be validated for this purpose by sending a photocopy of both sides of the credential to the following email addresses: ricardo.freitas@cepal and eduardo.barahona@cepal.org. Participants are advised to arrive at least 30 minutes before the start of meetings in order to complete the accreditation process and United Nations security protocols. For further information on accreditation, please contact Paula Warnken (paula.warnken@cepal.org; (+56) 2 2210 2651). The opening session will start at 10 a.m. on Wednesday, 24 April. Delegates will have access to a wireless Internet connection (Wi-Fi) in the conference room and in open areas. The official language of the meeting will be Spanish. Simultaneous interpretation will be provided in English, French and Portuguese. Travel agency: Flight reservations and confirmations are handled by Carlson Wagonlit Travel, located in the basement of the ECLAC building (office 1S7). Bank: There is a branch of Banco de Chile in the basement of the ECLAC building. It is open to the public from 9 a.m. to 2 p.m. Foreign currency may be exchanged between 10 a.m. and 12.30 p.m. Eating: ECLAC has a cafeteria and a canteen, which are open from 9 a.m. until 5 p.m. These services must be paid for directly by participants. Medical services: First aid is provided by the ECLAC Medical Service, located on the main floor of the building (office Z-210), telephone extension 2333. It is open from 9 a.m. to 1 p.m. and from 2.30 p.m. to 6 p.m.
Shop: The “One World” shop, located in the central foyer on the ground floor, next to the spiral staircase, offers a wide range of attractive gifts, souvenirs and other items. Pueblito Los Dominicos: A handicraft village located close to the foot of the Andes towards the east of the city of Santiago. It offers a varied array of traditional and contemporary crafts, including furniture, textiles and paintings. Museo Nacional de Bellas Artes: The fine arts museum is a major centre for the visual arts in Chile. It is situated in Santiago’s Parque Forestal. Museo de Arte Precolombino: This museum is at the cutting-edge in terms of preserving, displaying and studying the continent’s pre-Columbian artistic legacy. It has an extensive collection of art from ancient cultures, such as the Incas and Diaguitas. It is located in downtown Santiago. Municipal Theatre of Santiago: Built in 1857, Santiago’s municipal theatre is a national monument of renowned architectural beauty. It is one of the foremost cultural centres in Chile and hosts performances of opera, ballet and concerts. La Moneda Palace:The Government Palace, located in central Santiago, is the only building of a pure Italian neo-classical style in the Americas. Its cultural centre presents visual and audiovisual exhibitions from Chile and further afield. Plaza de Armas: Located in the heart of Santiago, this square has been the civic centre since colonial times. The cathedral in the square is a national monument and has an interesting museum, whose main attraction is its library containing manuscripts by important Chilean historical figures. Other major historical buildings on the Plaza de Armas are the Santiago town hall and the central post office. Barrio Bellavista: This vibrant, quintessentially urban neighbourhood combines a highly varied commercial clothing and craft sector with numerous restaurants offering many types of international cuisine. Bellavista nestles between the northern bank of the Mapocho River and the foot of San Cristóbal Hill. Its exotic architecture gives it the aspect of an open-air museum, where art galleries, theatres and lapis lazuli jewellery shops can be found alongside restaurants, parks and the local zoo.